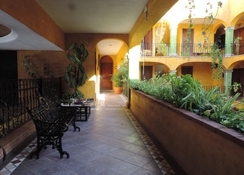 Hacienda Real del Caribe is distinguished by its colonial style architecture, with exterior and interior arches, wood details and warm colours. With a strategic location just steps away from Fifth Avenue and easy access to the beach, the hotel puts at your fingertips the main attractions of Playa del Carmen. 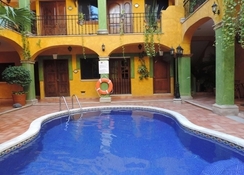 The hotel has a central pool, surrounded by 58 rooms, as well as a Jacuzzi and an area for events. Spacious rooms with plush interiors offer all modern amenities like free Wi-Fi, desks and flat-screen TV. The rooms come with sitting areas, a coffeemaker, a safe and a minibar. Superior rooms offer terraces or balconies with seating arrangement. 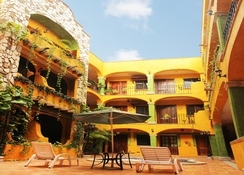 Hacienda Real Del Caribe is located in the northern part of Playa del Carmen. The hotel is only one block from the famous Fifth Avenue, and is in proximity to several nightclubs, bars and restaurants. The hotel is about two blocks from the beach. 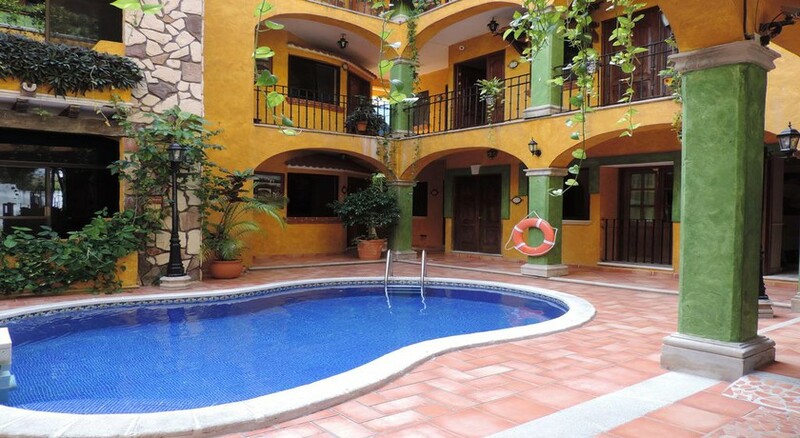 For travellers, it is 900m from the ferry terminal to Cozumel and 1km from the ADO bus terminal. 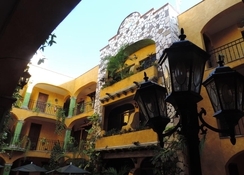 Shopping becomes a hassle-free affair with the shopping plaza Paseo del Carmen being only 900m from the hotel. All the 58 rooms at the Hacienda Real Del Caribe are comfortable featuring the colonial style and include amenities like a minibar, alarm clock, air conditioning, iron & ironing board, hair dryer and a vanity mirror. Guests can choose between Superior Queen Rooms, Double Queen Rooms and Junior Suites. 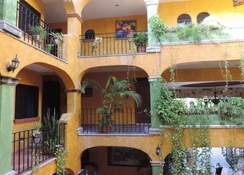 The hotel features a restaurant – El Cafe de la Hacienda, which serves breakfast, lunch and dinner and is open from 7am – 11pm. Gastronomy lovers will appreciate the restaurants international cuisine. Located close to numerous close to several restaurants, bars and pubs, you'll never run out of culinary options. While you're here, don't forget to visit Oh Lala for fabulous cocktails and the Kaxapa Factory for a cosy casual dinner with kids. Guests of the hotel can lounge by the Kool Beach Club or sunbathe by the outdoor pool. 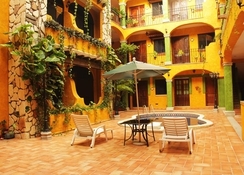 The hotel arranges for tours to discover the beautiful surroundings of Cancun. Guests also have access to the Zenzi Beach Club renowned for its cocktail beach parties. The beach is a five-minute walk from the hotel where you can take a refreshing dip or lounge with sun beds available. In Cancun, you can enjoy a good selection of beaches for all tastes. There are beaches to go as a family or simply lie down in the sun. There are beaches with great restaurants such as Playa Tortugas, which is also an ideal place to take a boat to Isla Mujeres.